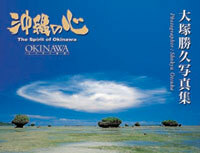 Photographer Shokyu Otsuka knows Okinawa from north to south, east to west, and has captured the brilliance of the islands’ culture and beauty in a newly published pictorial book. 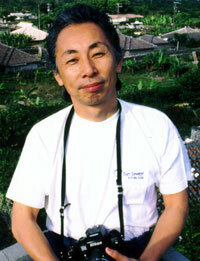 Otsuka, who first came to Okinawa in the summer of 1972, the year of Okinawa’s reversion to mainland Japanese control, will be meeting with people at Kadena Air Base and Camp Foster this weekend to share ‘The Spirit of Okinawa’ in person, as well as through the lenses of his cameras. His pictorial book illustrating life in the Ryukyu Archipelago is available for sale at select AAFES BookMark locations and select shoppettes island-wide for $28. Shokyu Otsuka will be at the Camp Foster PX 1 p.m. ~ 4 p.m. Saturday, and at the Kadena BX Sunday from 1 p.m. ~ 4 p.m.